We have been educated to tell time since we were in pre-school because the elders have known through experience how significant it will be in the future. A student needs to keep track of it in order to finish their exams on schedule; a new office worker cannot be late on their first day at work. 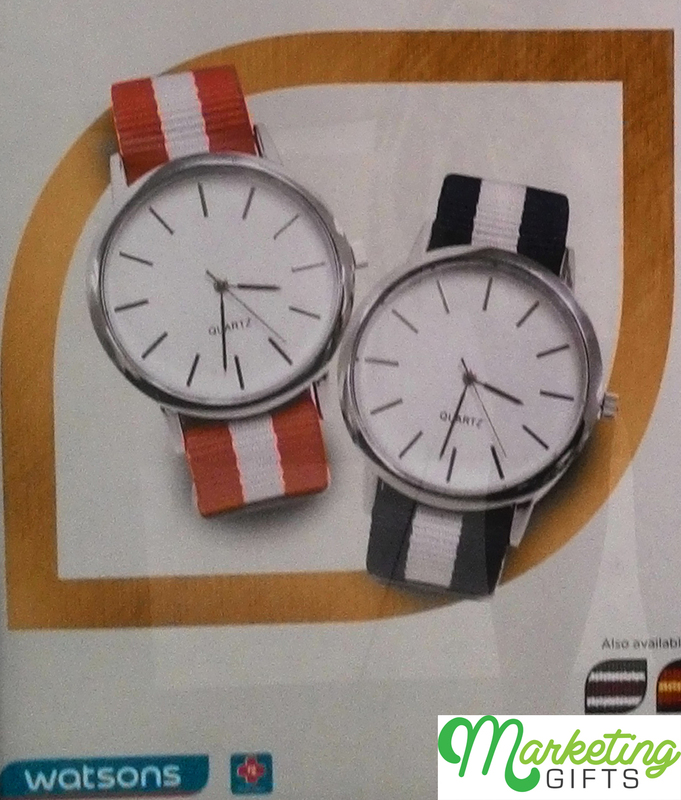 Hence, free stylist watches that Watsons wants to offer to its consumers can be beneficial for many. Modernized. While old versions of timepieces have numbers, this only has equal-sized lines. Such contemporary promotional merchandise are attractive to the millennials. Convenient. Watsons clearly is not trying to act sophisticated by using leather bracelet that can peel off in time. As they used fabric here, the gift with purchase is providing extra convenience to the customers. Affordable. This is a free promo gift, mind you. Yet, the style and the size of the face of the watch is comparable to the branded ones that amount to more than a hundred dollars in the market. Utilize the marketing ideas from the Marketing Gifts blog to promote your brand.